We’ve listed some of our construction partners below which demonstrates our commitment to ensuring our housing developments are built correctly and under warranty and only using the best quality materials for all our building projects in East Lothian. 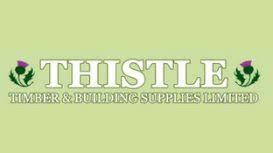 As Scotland’s largest independent builders’ merchants, we use Thistle Timber to supply most of our materials for our sites. They are able to source most of our requirements. Colin is our surveyor for all our building projects. His services are to provide an estimated cost of work required and provides valuations on work as it continues through to completion. Hireline was established in 2010 and is an independent family owned business specialising in the hire of plant and small tools to the construction industry throughout Scotland and Northern England. GB Land Engineering Limited has its base at Five Sisters Business Park near West Calder in West Lothian. Our current fleet consists of some 8 no. drilling rigs (rotary & rotary percussion) and 5 no. grout mixers along with the associated plant and equipment necessary to carry out contracts of any value. "The Mark Of A Quality Home"
All our homes are designed and Manufactured in Glenrothes, Fife. We build bespoke homes with an emphasis on quality of design materials and finishes. We build to order allowing us to offer a wide choice in materials and layouts. Groundwork Solutions have over 30 years experience in the construction industry, we are a well established groundworks and plant hire company thats works with local, regional and national contractors. CONTRACTING (N.I.C.E.I.C) APPROVED ELECTRICAL COMPANIES IN EAST LOTHIAN. We are a local East Lothian company based in Tranent, we cover Edinburgh & The Lothians and provide electrical services such as, fuseboard replacements & up-grades, additional lighting & power circuits,rewiring, outdoor power & lighting, electric showers, testing & inspection, emergency lighting installation, domestic & commercial installation and TV arial outlet installation.